Rimfire Sports & Custom: Green Mountain Ruger 10/22 Full Float .920 w/Ultralight Vented Shroud, 17"
Green Mountain Ruger 10/22 Full Float .920 w/Ultralight Vented Shroud, 17"
These are the Aero Series Green Mountain barrels. Full Float .920 barrel with ultralight vented shroud. 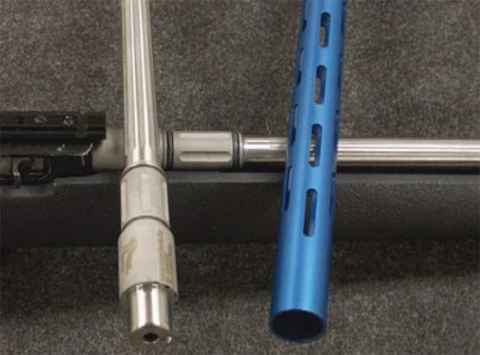 These barrels come with a 17" Stainless steel and your choice of a colored shroud for the 10/22 LR. Available shroud colors are Red, Blue, Gold, Green, Black.